Irish riders are out in force in this season’s Global Champions series and, under blazing skies in the heart of Mexico City, Friday afternoon’s 1.45m two-phase was won with a scorching round from Shane Sweetnam on the 17-year-old stallion Cyklon. A duo of Frenchman gave the USA-based Irishman a good run for his money, however, with Simon Delestre with Gain Line and Julien Epaillard with Instit de Jucaso taking second and third respectively. “He’s 17 years old and he knows what he’s doing so I can let him off and we got there at the end,” said Shane Sweetnam after his first win in Mexico. An inviting track took riders across the length and breadth of the vast turf arena at the Campo Marte with horses relishing the increase in pace for the second phase. The name at the top of the leader board changed frequently as a field of 56 combinations came forward, with Pius Schwizer (SUI) and Chidame Z, Jos Verloy (BEL) with Herald van’t Ruytershof and Denis Lynch (IRL) on RMF Echo all pushing the booster button for some impressive rounds. Yesterday’s speed class runner-up Shane Breen (IRL) returned with CSF Vendi Cruz to push his Irish team-mate and fellow Miami Celtic rider Denis down into second before the Julien Epaillard swooped in to overtake them all. However, in came Shane Sweetnam and his long-time partner Cyklon and, to great roars over the final oxer, the pair soared into the lead and couldn’t be beaten - despite a gallant effort from Simon Delestre late in the pack. 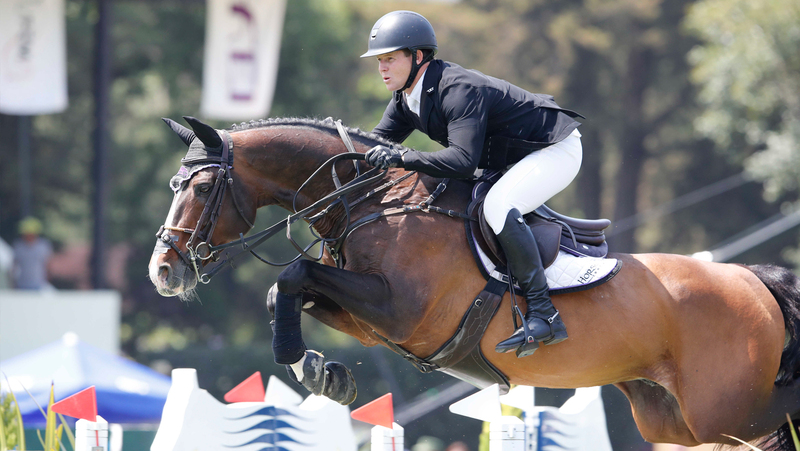 “I’m very lucky to have Cyklon – we’ve won everywhere,” said Shane, who returns later with his other good horse Main Road for round one of the GCL, which takes centre stage shortly on Friday afternoon.